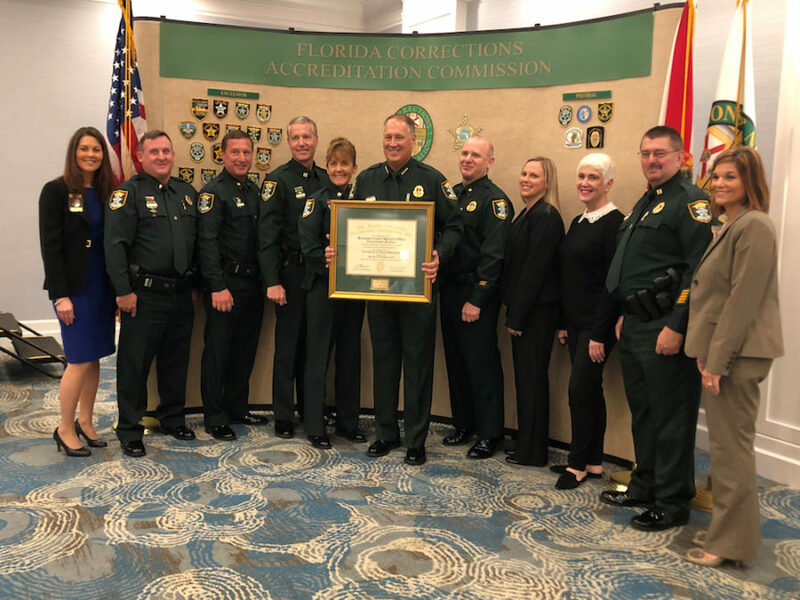 The Sarasota County Correctional Facility was re-accredited by the Florida Corrections Accreditation Commission (FCAC) during a ceremony held Oct. 2 in Clearwater Beach, Sarasota County Sheriff Tom Knight has announced. Assessors conducted a three-day onsite visit in August to examine jail policies, management, operations and support services, a news release explains. “They found the agency in compliance with all 254 applicable standards and in their recommendation for re-accreditation, commended the agency for a flawless onsite [visit], its eighth in a row,” the release points out. “This accomplishment earned the [Sheriff’s Office] the commission’s prestigious Excelsior Award for a third time,” the release adds. Additionally during the Clearwater ceremony this week, the release notes, Knight was honored for the completion of his six years of service on the Florida Corrections Accreditation Commission. In addition to this FCAC jail accreditation, the release continues, the Sarasota County Sheriff’s Office is accredited by the Commission for Florida Law Enforcement Accreditation (CFA), and the Emergency Operations Bureau’s Public Safety Communications Section is accredited by the Commission on Accreditation for Law Enforcement (CALEA) for law enforcement dispatch and by the National Academies of Emergency Dispatch (NAED) for medical and fire communications. During their most recent assessments, all three disciplines earned 100% compliance, the release notes. The Sarasota County Sheriff’s Office jail was the first in the state to become fully accredited in 1998, the release points out.